The Ice Age created a soil that was poor. Further, glacial drift resulted in rocky areas peppered with large boulders. Rivers were fairly short, unlike in other areas of America, and did not allow for the rise of huge agricultural plots along their banks. The major resources were lumber and fisheries. 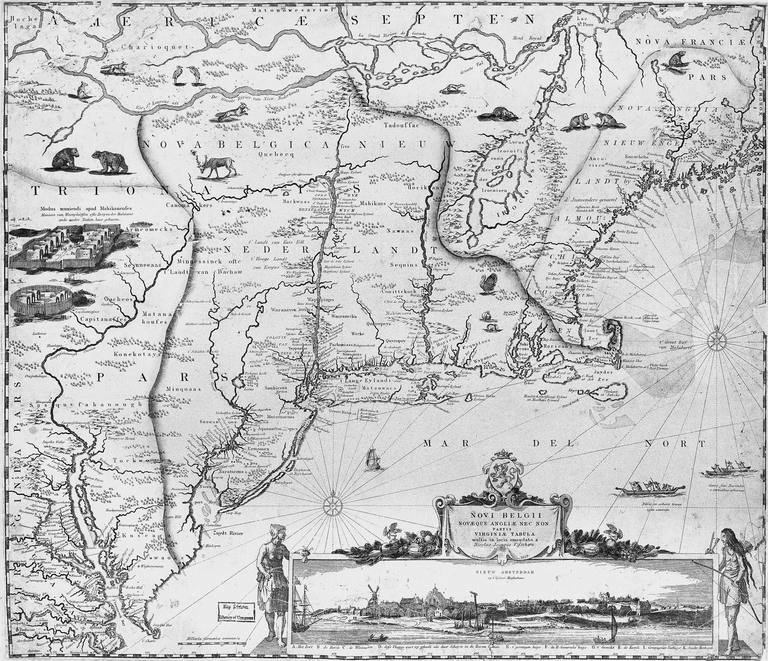 The New England region was an area of mostly homogeneous culture. The English settled in large groups. The settlers in the New England colonies settled in towns, typically surrounded by 40 square miles of land that was farmed by the individuals who lived in the towns. Agriculture: While not fertile, towns were surrounded by farms owned by the workers. They had a high degree of mechanical ingenuity and self-sufficiency. Fishing: In 1633, Boston first exported fish. In 1639, Massachusetts was exempted from paying taxes on fishing boats. The fishing industry was huge by 1700. Over and above normal fishing, whaling was also a major occupation of the region. Commerce: Individuals from the New England area were heavily involved in commerce. The trade with England allowed ship holders to flourish. Further, they traded with the West Indies and the French colonies to the north. Calvinism and the Social Contract Theory: Many individuals who lived in the New England area were Calvinists or heavily influenced by John Calvin's works and thought. While many look at John Locke as one of the founders of the idea of the social contract, that the state is an agreement or contract between the individuals to join together into a society, the Calvinist doctrine was one of the first to espouse the idea in England. The fact that many New England settlers followed the religious doctrines of John Calvin meant that this theory was part of their religious heritage. Further, this belief in the importance of contracts transferred to economic contracts as well. A Belief in Predestination: One of the tenets of Calvinism is the idea of predestination. This was the belief that God had already predetermined everything, including who was going to heaven and who to hell. Congregationalism: The church itself was governed by its own members. The congregation chose its own minister. Intolerance: While the Puritans might have escaped England due to religious persecution, they did not come to America to establish religious freedom for all. They wanted to be free to worship the way they wished. Nonconformists such as Anne Hutchinson and Roger Williams were thrown out of the church. Towns were fairly small, surrounded by farms owned by the workers within the town. This resulted in a rapid spread of many small towns as population pressures arose. Therefore, instead of having a few large metropolises, the area of dotted with many smaller towns as the population moved and founded new settlements. In essence, New England was an area that had been founded by a fairly homogeneous population, most of whom shared common religious beliefs. Due to the lack of huge tracts of fertile land, the area turned to commerce and fishing as their main occupations, though individuals within towns still worked small plots of land in the surrounding area. This turn to commerce would have a major impact many years later after the founding of the United States when questions of states rights and slavery were being discussed. What GPA and SAT/ACT Scores Do You Need for the University of New England?